While the Internal Revenue Service continues to leave uncollected tax money on the table, the agency beefed up its surveillance capabilities in a move that alarms both conservative and liberal privacy advocates. Now some complain the IRS is acting too much like Big Brother and not enough like a traditional taxman. Since 2006, the IRS has overseen an annual tax gap—the shortfall between taxes owed and collected—of about $385 billion, government analysts say. And according to an April report, the agency has not implemented 70 of 112 actions identified by the Government Accountability Office to close that loop. In 2009, though, the IRS purchased a “cell-site simulator,” more commonly known as Stingray technology. And since November, the agency has been trying to buy another of the devices. Like something from a spy movie, a Stingray device mimics a cellphone tower, tricking all mobile phones in an area into revealing their location and numbers. Authorities can deploy the powerful technology to tag and track an individual’s location in real time. More advanced versions of the devices can be used to copy information stored on a cellphone and to download malware remotely. The devices are as controversial as they are prevalent. According to theAmerican Civil Liberties Union, 61 agencies in 23 states and the District of Columbia own the devices. IRS Commissioner John Koskinen says the IRS uses its Stingray to hunt down fraudsters and stop money laundering. The agency’s use of the devices remained a secret until an October report in the Guardian. And the IRS commissioner insists his agency deploys the tech only in accordance with state and federal laws. 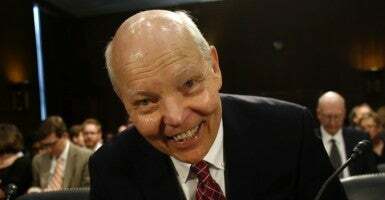 But during an April 13 hearing of the Oversight and Government Reform Committee, the deputy IRS commissioner for service and enforcement, John Dalrymple, couldn’t say whether the IRS obtained a warrant before activating the device. Rep. Jim Jordan, R-Ohio, says he finds that concerning. The GAO has 112 things they suggest, recommendations for the IRS to actually deal with the $385 billion dollar tax gap. Not one of those recommendations was to purchase a second Stingray unit. More than a misappropriation of resources, the chairman of the House Freedom Caucus said, he fears the IRS could abuse the technology to monitor political groups like it did in 2013, when the agency began targeting conservative nonprofits. “Now you have this same agency, who again for a long period of time went after people for exercising their First Amendment free speech rights, are using this technology and without a Fourth Amendment probable cause warrant,” Jordan said. And there’s already a precedent for misconduct, albeit at a more local level. It’s an open question whether the agency needs Stingray technology to complete its mission. The IRS did not respond to The Daily Signal’s requests for comment made by emails and phone calls. There is no good reason the IRS would ever need real-time data information. The crimes that the IRS investigates all occurred in the past. They’re investigating fraud against the government that’s already happened. They don’t have crimes in progress like a burglary. But if the IRS ever needed to track a suspect in the moment, Larkin said, there’s a practical solution—teamwork. He explains that there’s “no legal hurdle” that prohibits the IRS from teaming up, for instance, with the Department of Justice and borrowing its Stingray technology. Jordan says he isn’t ready to accept that the IRS ever needs access to the device.